Napa Valley Fires Update: After a year and a half of post-fire recovery, Karen Lynn Ingalls is announcing her first 2019 workshops, beginning with The Secrets of Color Harmony on May 18-19, 2019. Or, create your own art adventure — private art lessons, classes, and workshops in Napa Valley! Be the first to find out about upcoming workshops, classes, retreats, and special events! 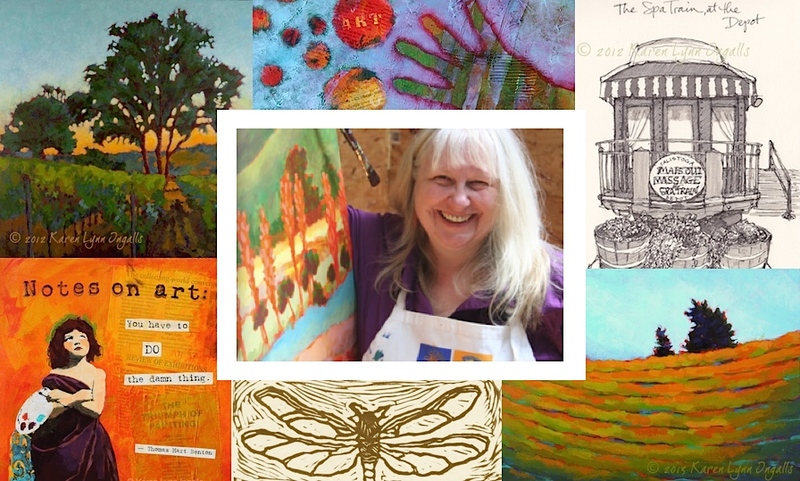 Karen Lynn Ingalls teaches Napa Valley art workshops and classes in painting, mixed media, printmaking, sketching and drawing, and more. She believes that making art in the spirit of experimentation and discovery is good for both the soul and the art. 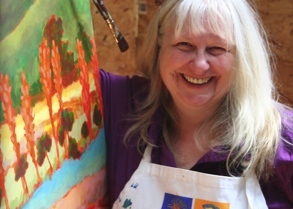 In addition to what you'll find scheduled here, Karen also teaches private, group, and corporate art and creativity lessons, classes, and workshops. Please contact her to learn more and discuss setting up your own lesson, classes, or workshop.